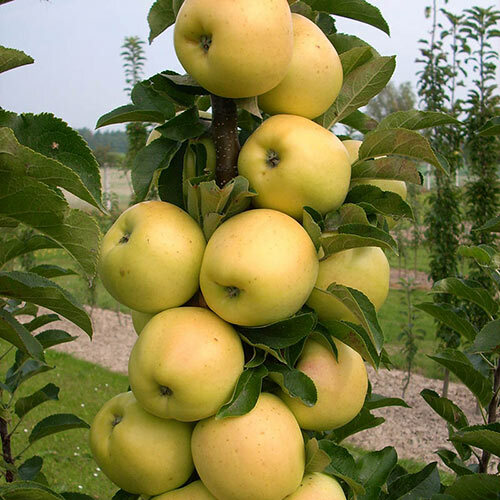 FruitGreen-gold, medium-size apples are firm with a lightly tart flavor. Soil RequirementsWell-drained, fertile, loamy soil. Growth RateSlow to moderate growth rate. PollinatorTwo apples are requried for pollination. Tasty Red™ Urban Apple® can be used. CommentsIts columnar habit makes it a great choice for tight spaces. Grows happily in a large patio container.